The World Professional Billiards and Snooker Association (WPBSA) is today pleased to announce its involvement in a new era of sports governance for snooker and billiards with the official launch of the World Snooker Federation (WSF). With the support of these Bodies and Federations the WSF will now form part of an international structure for snooker and billiards in which National Federations can develop new and exciting opportunities. For the past seven years the WPBSA and World Snooker have established many new events working in close co-operation with National Federations such as the Indian Open, Riga Open, Six Red World Championship in Thailand and various ranking events in China. The WSF will be run by a board of directors who will ensure that appropriate governance and accounting practices are in place. The board will be supported by a newly constituted Council comprising up to ten people from across the globe representing different regions and continents. The WSF is committed to bringing together a truly diverse and multinational team. To serve the best interests of snooker and billiards and to achieve the aspirations to become an Olympic and Paralympic sport, it has been necessary to reconfigure the IF structure in billiard sports to ensure adherence to the highest standards of integrity, transparency and governance. Judd Trump claimed his sixth ranking title in the most dramatic of finals, defeating Ronnie O’Sullivan to capture the European Masters title. It was the pair’s sixth meeting in a professional final and Trump trailed for much of the match, before snatching the crown in the final frame and securing a 9-8 victory. In the final it was O’Sullivan who was first to trouble the scorers. Trump made a break of 34 at the start of the frame, however he relinquished control of the table and the Rocket stole it on the black. The five-time World Champion O’Sullivan made breaks of 53 and 62, as he moved into a 3-1 lead. Trump hit back by producing runs of 120 and 82 to take two of the next three. O’Sullivan won the final frame of the session and held a 5-3 lead going into the evening. The 2011 UK Champion Trump immediately eliminated the deficit in the final session. A superb century break of 105 saw him draw level and a contribution of 67 in the eleventh frame put him ahead for the first time at 6-5. However, the Rocket turned on the after burners and cruised to the verge of victory. Runs of 93, 72 and 42 saw him win three on the bounce and go 8-6 up. Trump just wasn’t going away and he forced a decider, making another century of 109 in the process. In the final frame the Juddernaught produced a gutsy run of 74 to clinch the trophy. “I’m a little bit in disbelief,” said Trump. “To go 8-6 down was a little bit disheartening. I was faced with a difficult blue in the next frame and I just thought that I have to go for it. After that, I didn’t miss in the next three frames. To produce that under pressure against Ronnie will stand me in good stead for the rest of the season. It was only O’Sullivan’s second defeat in a ranking final since 2010 and the Rocket was in reflective mood afterwards. O’Sullivan remarked: “He deserved his victory and played the better snooker all day really. He’s too good a player to not be winning tournaments. You just have to hold your hands up and say well done. I didn’t do a lot wrong really. From 5-3 up to 6-5 down I had a couple of chances, but he just dominated the table. Snooker has failed in its bid to be included in the Tokyo 2020 Olympics, while karate and surfing make a shortlist of possible extra sports. The World Professional Billiards and Snooker Association argued it should be accepted because of worldwide appeal. But it missed out, along with bidders including bridge, chess and netball. The eight shortlisted federations are: baseball/softball, bowling, karate, roller sports, sport climbing, squash, surfing and wushu. The 18 to miss out are: air sports, american football, bowls, bridge, chess, dancesport, floorball, flying disc, korfball, netball, orienteering, polo, racquetball, snooker, sumo, tug of war, underwater sports and water skiing. All eight federations will now progress to a second stage of the application process, which will include the submission of further details by 22 July before briefings to organisers due to take place in Tokyo on 7 and 8 August. As part of reforms initiated by International Olympic Committee (IOC) president Thomas Bach last year, Games hosts have the chance to bring in one or more sports popular in their country to boost ratings and attract greater sponsorship. Baseball and softball, united under the World Baseball Softball Confederation (WBSC), are considered favourites to return to the Olympics for the first time since Asia last hosted the Summer Games, in Beijing in 2008. “This is a great day for our sport,” WBSC president Riccardo Fraccari said in a statement. In September, organisers will recommend one or more of the sports to the IOC for inclusion in 2020, with the final decision in August 2016. Baseball/softball – Combined bid of men’s baseball and women’s softball. Both sports hugely popular in Japan. Bowling – Not to be confused with bowls, covers tenpin and ninepin bowling. Officials collected nearly one million signatures from Japanese bowlers in support of their bid. Karate – Has never been contested at the Olympics. Judo, its fellow homegrown martial art, first joined in 1964, when Tokyo last hosted the Olympics, and was included from 1972 onwards. Roller sports – Governing body covers areas such as roller hockey and artistic skating. Sport climbing – Last year sport climbing was chosen by the IOC as a demonstration sport at the Youth Olympic Games in Nanjing, China. Squash – Turned down for a main place at the 2020 Olympics, squash is pointing to a strong tradition in Japan, including current leading juniors Satomi Watanabe and Ryunosuke Tsukue. Surfing – International Surfing Association hailed its shortlisting as a “milestone” and claims it has a “unique and modern blend of high performance, style and culture”. Wushu – Commonly referred to as kung-fu, the collective term for the martial art practices which originated and developed in China. The WPBSA also works as part of Cue Sports Umbrella Organisation the World Confederation of Billiards Sports (WCBS) that incorporates Snooker (WPBSA and IBSF), Pool (WPA) and Carom (UMB). The WCBS works towards the ultimate ambition of getting all three disciplines into the Olympics and Paralympics games. On 12 June 2015 The WCBS was informed that it had been included within a group of 26 sports seeking to be added to the 2020 Olympics in Tokyo. On 22 June 2015, the I.O.C reduced that number down from 26 to 8 and unfortunately Cue Sports was not one of the 8 sports selected. We would like to take the opportunity to thank all of the contributing parties to the bid including The World Pool-Billiard Association, The Union Mondiale de Billiard, the IBSF and the WPBSA – through their partnership the World Snooker Federation. We would also like to say a huge thank you to the Nippon Billiards Association of Japan for supporting our bid and making our voice heard. Finally we would also like to thank the International Olympic Committee for giving us a fair and transparent platform on which to make our bid. Cue sports have made vast strides forward in recent years in terms of fulfilling the Olympic criteria. Snooker, pool and carom are played and watched by hundreds of millions of people worldwide. We are committed to continuing this progress in the coming years. We will move forward more determined and more focused on achieving the status of an Olympic Sport and we look forward to starting our bid for the 2024 Olympics. John Astley, Michael Georgiou, David John and Alex Borg will all make their return to the World Snooker pro tour in 2016 after securing 2-year tour cards through Q School. With all four winners on the final day of Event 2 having made previous appearances on the main tour, they will join qualifiers from Event 1 and four more players from the Q School Order of Merit on tour for the 16/17 and 17/18 seasons. Michael Georgiou beat Craig Steadman 4-1 to secure his tour card and an make an instant return to the pro tour, having just weeks ago lost his tour card after failing to qualify for the 2016 Betfred World Championship. 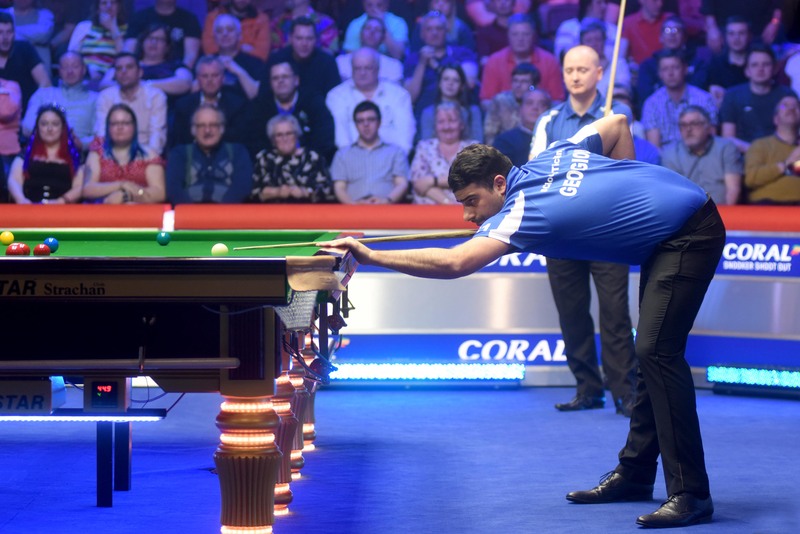 Breaks of 38 and 48 from Georgiou clinched the opening frame of the match, before Steadman – who was already guaranteed a card through the Order of Merit – levelled with 40 to go 1-1. Georgiou then won the next three – including a tight fourth frame – with runs of 37 and 44 to cement his place on the main tour. Georgiou – who is a practice partner of Tony Drago – initially qualified for the main tour back in 2007 after winning the IBSF World Under-21 Championship, but was soon to drop off after a disappointing season. His next break came in 2014, where he came through Q School Event 2 to qualify for the 14/15 and 15/16 seasons. His best form came at the Welsh Open, where he reached the last 16 of a ranking event for the first time, only to be beaten by eventual champion John Higgins. Michael Georgiou announced to World Snooker his wish to represent Cyprus Flag during Q School 2016 Tournament. A big thanks to Michael because Cyprus will be represented by a skillful player like him. It will be a great pleasure and opportunity to see him participating in our local tournaments as well. We are looking forward to follow him in his objectives and wish him all the best to regain a place on the World Snooker tour. Georgiou, a Londoner of Greek-Cypriot descent, scored some promising results during the 2014/15 season. 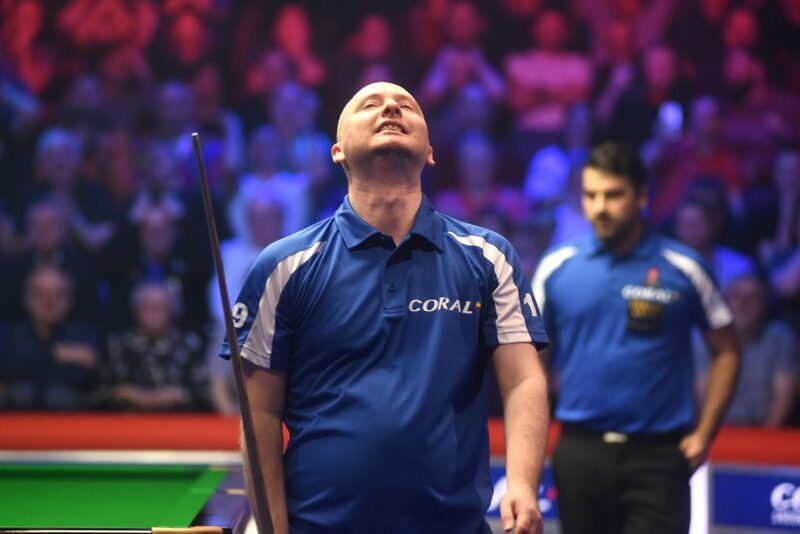 His best run came at the Welsh Open as he won three matches – including a fine victory over Graeme Dott – before losing to John Higgins in the last 16. He also got to the last 32 of the Wuxi Classic and German Masters. Georgiou regained a place on the World Snooker Tour by coming through Q School in 2014. He beat Ashley Carty 4-2 in the final round of event two. He played one season on the main tour in 2008/09 after winning the World Under-21 Championship. After dropping off the tour, Georgiou played one season on the amateur circuit then decided to give up snooker and started a career in recruitment. In 2008, Georgiou was a member of the ‘Hot-Shots’ campaign which aimed to raise the profile of young players including Mark Selby and Mark Allen. World champion Stuart Bingham will take on European champion Michael Wilde in Prague on the 23rd of February in a special exhibition. This exhibiton contest called the Prague Snooker Champions will take place in the ballroom of the Prague Congress Centre and should be a superb nights entertainment. The draw and format for the final stages of the 2015 Bank of Communications OTO Shanghai Masters is now available. Please note that one wildcard player is still to be confirmed, which will be the winner of the Amateur Masters 2015 event taking place on Saturday 12 September.